Unless you are a horology enthusiast, it's likely that watches aren't something you think a ton about. 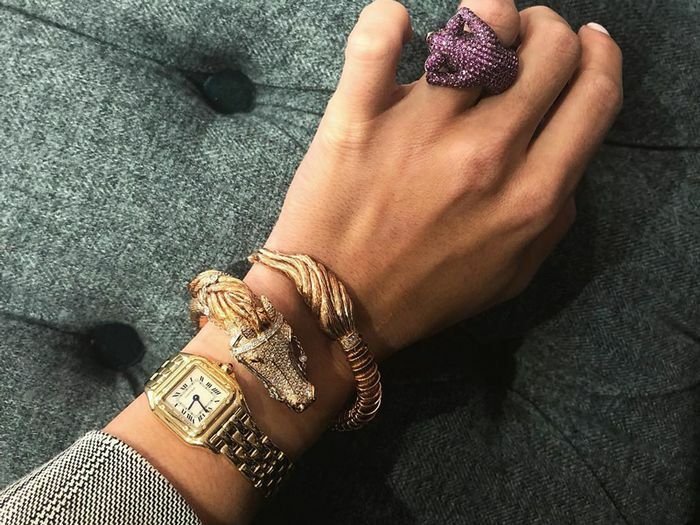 Sure, you're well aware of their aesthetic value, and maybe you layer them with your everyday bracelets to add a bit of polish to your arm party (but likely still look at your phone when you need to know the time, no shame here), but when was the last time you really looked at your go-to timepieces? Just like any other piece of jewelry, your watch is exposed to huge amounts of daily wear and tear. All of this is to say that the watches in your collection could likely use a bit of TLC. So we did the work for you and broke down how to clean watches of all kinds. There are a few blanket things to keep in mind before we dig in: First, double-check if your watch is waterproof. If it is, you shouldn't have a problem using most of these methods, but if it isn't, you're going to want to be extra careful—and no matter what, you should always make sure the crown is screwed down as tightly as possible before you get started. That way you won't get any cleaning products onto its face. Second, if you can remove the band from the face of your watch, do it. This will ensure that the heavier methods you can use on the band don't accidentally cause any damage to the actual mechanical portion of your watch. And, third, remember that the jeweler is your best friend. If you are feeling nervous about accidentally ruining that vintage Cartier watch your grandmother left you, take it to a professional. If you are willing to roll up your sleeves for a bit of DIY, read on to discover exactly how to clean a watch. 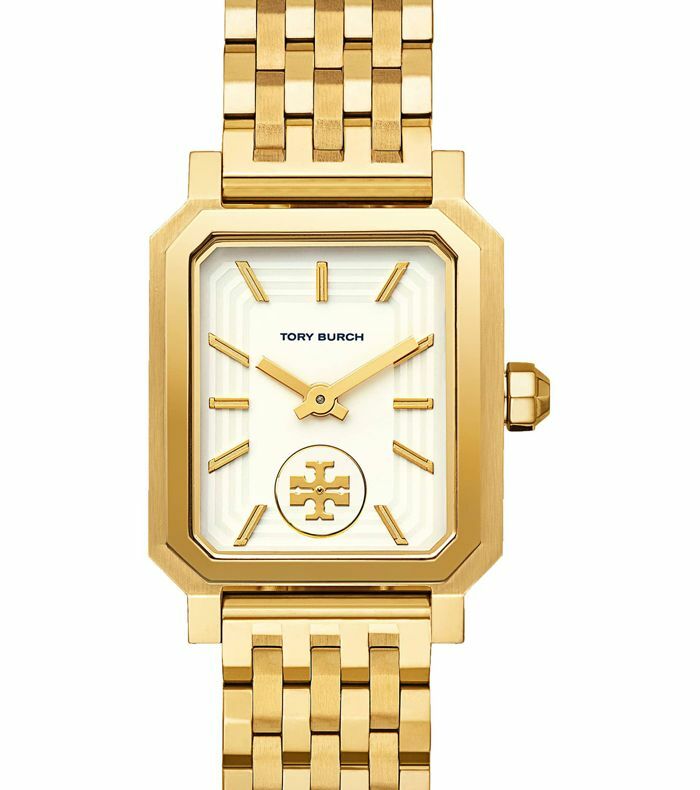 Before you get started cleaning your gold watch, you are going to want to double-check if your particular style is solid gold or gold-plated. If it is solid gold, dab a little bit of toothpaste (a non-gel formula will work best) onto a cotton ball and get to work carefully scrubbing the inside of the wristband, outside, and finally the case itself. Once you've moved the links around to get into all of those hard-to-reach spaces, remove the toothpaste with a slightly dampened, fresh cotton ball, and polish the face with a bit of glass cleaner. If your watch is gold-plated, it is best to take things gentle and slow, as the plating can scratch or rub off completely if you go in a little bit too hard. The best method here is to use warm water and antibacterial dish soap—fragrance- and dye-free are the safest—to scrub between the links with a very soft toothbrush or jeweler's cloth. If you have some really stubborn rust or grime, you can also try investing in some jewelry cleaner. Though, be careful to only use it on the band or bracelet part of the timepiece. The same combo of warm water and antibacterial soap that you used to clean your gold-plated watch will work wonders on a silver or stainless-steel style. If you want to make your watch really sparkle—or just have some seriously caked on grime—you can then go back in with some glass cleaner. You can get in between the links with that same soft toothbrush, or you can soak the band (but never the case!) in a bowl of glass cleaner for up to 15 minutes to leave it looking like new. Get started cleaning your blinged-out watch by using one of the methods outlined above (pick the one that corresponds with your watch's base metal). Then, to clean the stones themselves, you can carefully polish each and every stud with a jewelry cloth. Your watch likely came with one, but if it didn't, any jewelry store will have one you can pick up. If they still aren't sparkling like you want them to after that, dip a Q-tip into a glass cleaner and carefully rub it around the stones for an extra bit of shine. Because leather is the most absorbent of the materials here, it is the one you are going to want to clean the most often. We'd suggest every other week if you wear your watch regularly. Start the cleaning process by wiping the band down with a dry jewelry cloth to remove any surface-level dust and residue. Then use a slightly damp cloth—this is key because too much water can discolor and warp the leather—and some very gentle soap to give the band a clean. Once you've rubbed the soap all over in small circular motions, lightly wipe the leather down with another damp cloth to remove any remaining residue. If you think the band could still use a bit of TLC after it has completely dried, you can go back in with a bit of jewelry-safe leather conditioner to bring it fully back to life. Next, shop affordable watches that look so expensive.